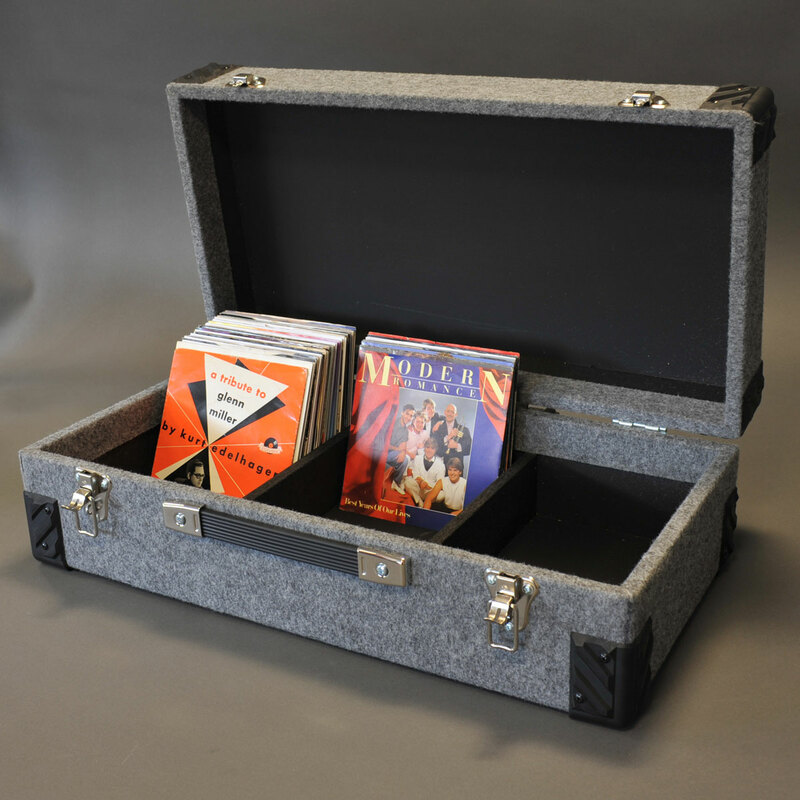 Grey Material Finish (Wooden) – 3 lane – holds approx 300 records. 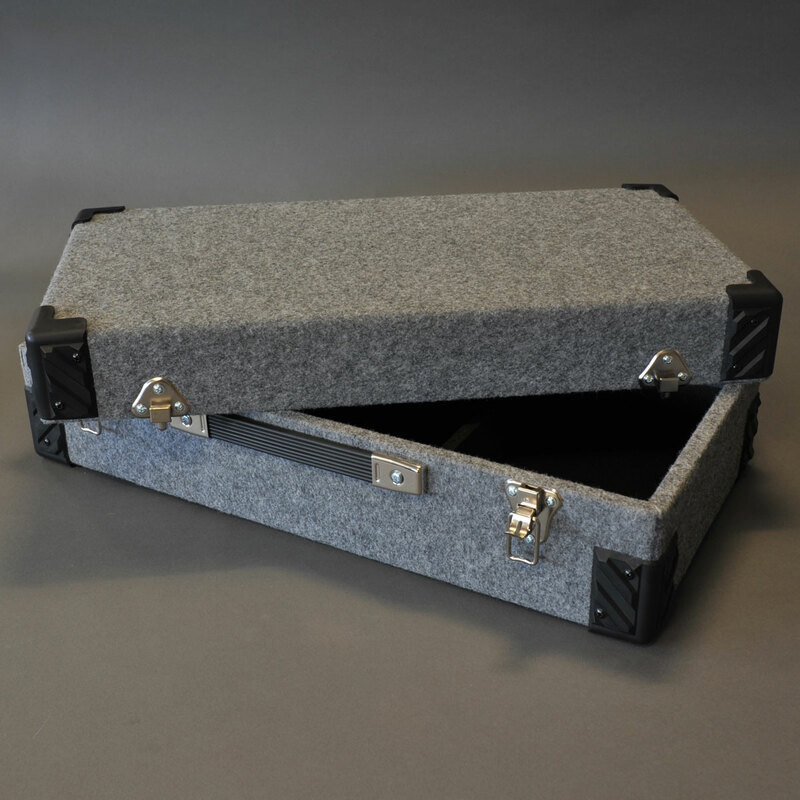 With detachable lid. Size approximately external 66.5cm wide x 21.5cm height x 35cm depth. Internal 62.3cm wide x 19.7cm height x 30cm depth. 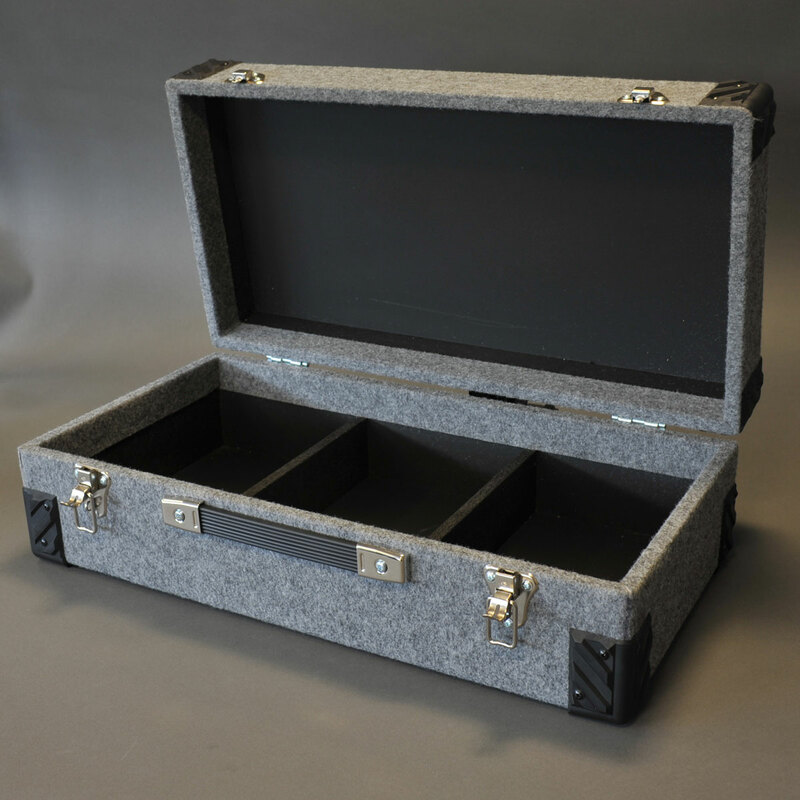 For 7” singles we suggest a 3 lane/channel storage case are covered in either a black or grey fleck material. Internal dimensions in this instance are 62.3cm x 19.7cm x 30cm. This has external dimensions of 66.5cm x 21.5cm x 35cm. 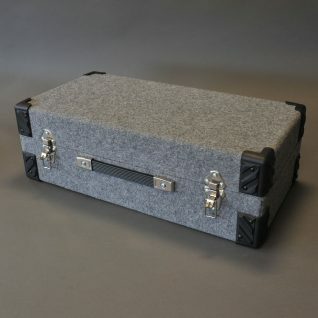 One popular adaptation is to have boxes made with a ‘high lid’. 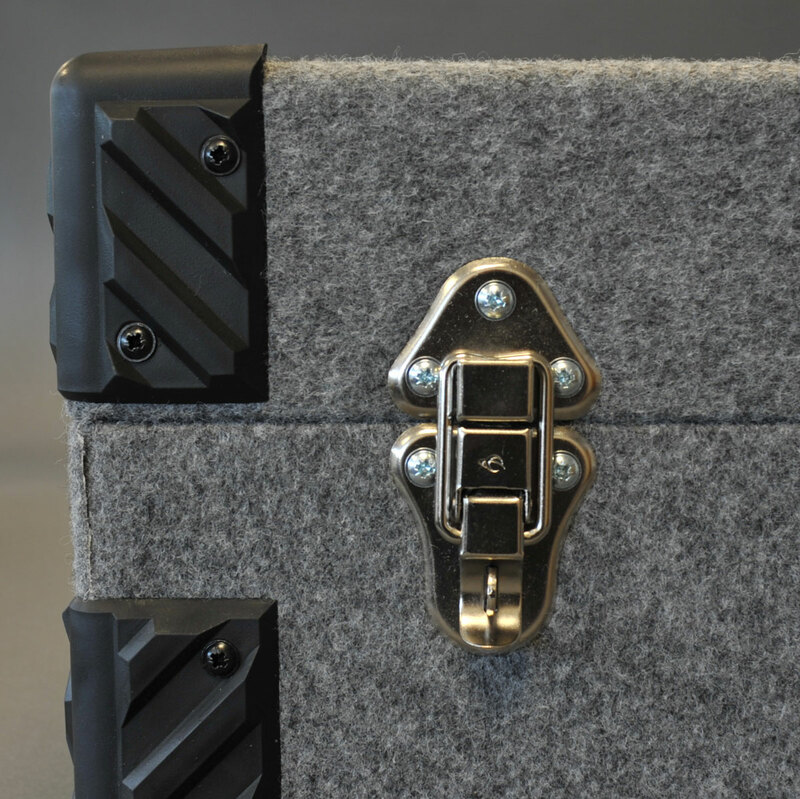 The extra internal height allows divider cards to be left inside the boxes on a permanent basis. Another adaptation is to have storage for 7” singles in one or two longer channels. The choice is yours! All we need are the internal dimensions and an extra few days to complete the order.